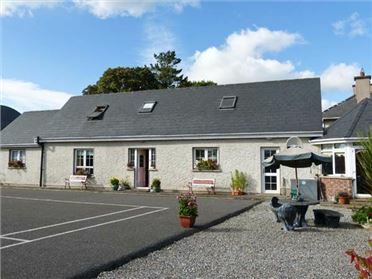 Julie's Cottage is a charming detached cottage located just a few miles from the vibrant town of Castleisland in County Kerry and can sleep seven people in three double bedrooms (one with en-suite) and a single. There is also a ground floor wet room. 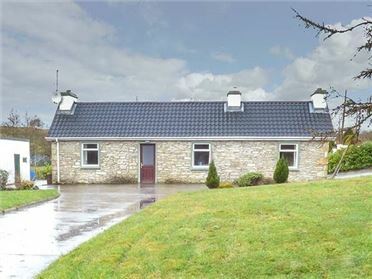 The rest of the cottage contains a kitchen with breakfast area and a sitting room with dining area and an open fire. To the outside there is ample off road parking and a patio area to the front and rear with furniture and barbecue. 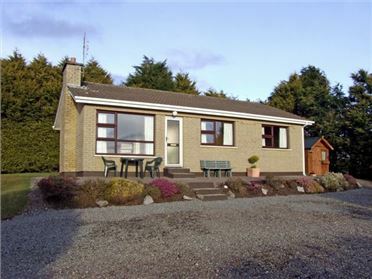 With the town of Tralee and Killarney both within easy reach, Julie's Cottage is ideal for those looking to explore all that this wonderful county has to offer. 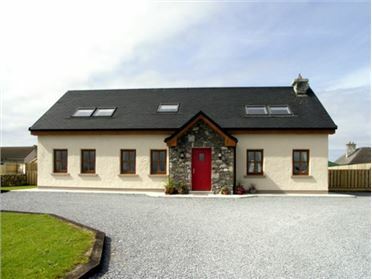 Four bedrooms: 2 x double (one with en-suite shower, basin and WC), 1 x ground floor double, 1 x single. Ground floor wet room with shower, basin and WC. Kitchen with breakfast area (seats 2). Sitting room with dining area (seats 8) and open fire. Oil central heating with open fire. Electric oven and hob, microwave, fridge, freezer, washing machine, tumble dryer, dishwasher, TV with Free-to-air channels, DVD, WiFi, selection of books, games and DVDs. Fuel, power and starter pack for fire inc. in rent Apr - Oct, Ã¢â€šÂ¬25 supplement payable directly to owner Nov Ã¢€â€œ Mar inclusive. Bed linen and towels inc. in rent. Travel cots and highchairs on request. Ample off road parking. Secure bike storage. Lawned garden with sheltered patio with furniture and BBQ. Two well-behaved dogs welcome. Sorry, no smoking. Shop and pub 2.5 miles. Note: There is a small stream in the garden which varies in depth during the year, so children must be supervised.